Of course, I am chomping at the bit to reel this off into a ball and cast on, but I'm trying to restrain myself. 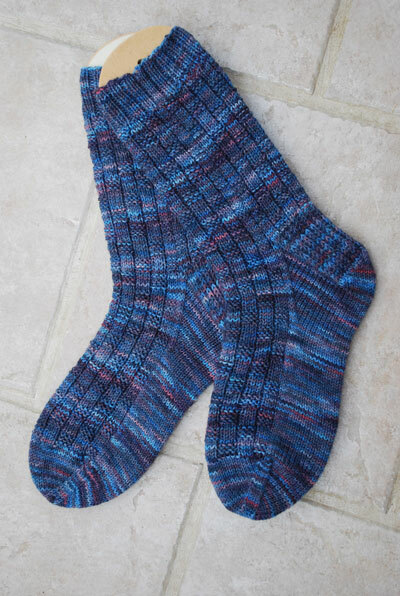 For starters, I already have a pair of socks on the needles and this is only enough for one sock. I still have to spin the rest for the second sock. With a busy week coming up, I may not get around to that for a week or more. We'll see how long I can hold out, but if you are a betting person, I think you know where I would recommend you place your wagers! The picture is kind of dark courtesy of an overcast day and the dark yarn. 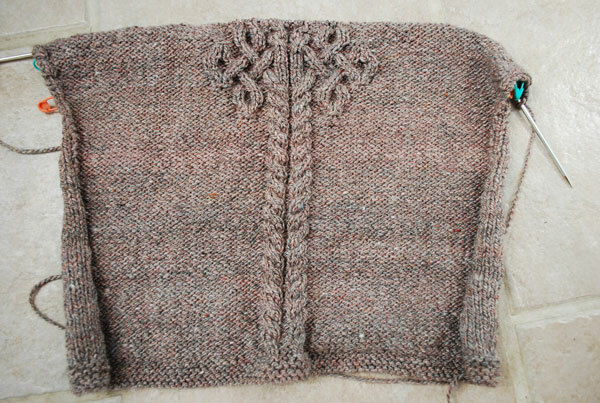 The yarn is Knit Picks Cotlin, color coffee. 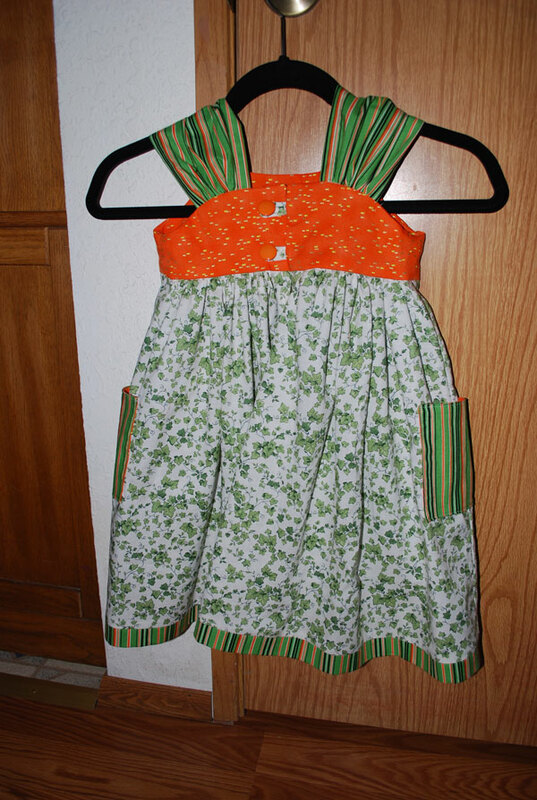 This was such a fun and easy pattern. They were literally accomplished in two days of fairly easy knitting. 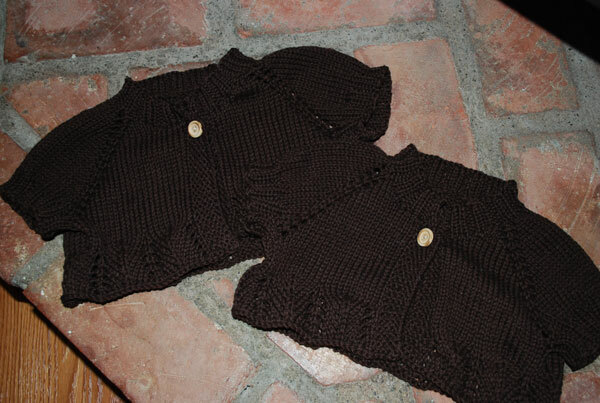 These will be perfect for keeping little shoulders warm during our cool spring evenings. I mentioned last post that I mistakenly ordered 3 instead of 4 skeins. 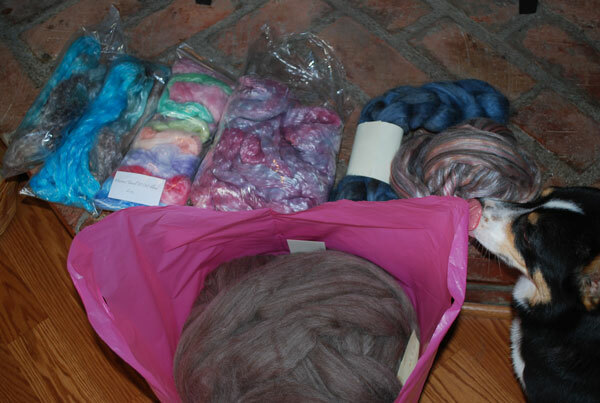 When I called to order another one, it was backordered until the end of May, which also meant a different dye lot. I decided to plunge ahead and was pleased to discover that I could make the two shrugs out of 3 skeins, with some left over! It does actually lay flat without rippling, but I was trying to get a quick picture before a certain puppy could make herself comfortable right on top of the quilt. 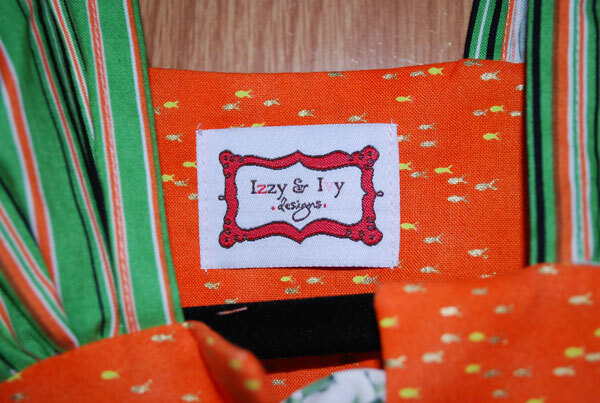 This was a machine embroidered piece and was great fun to make. 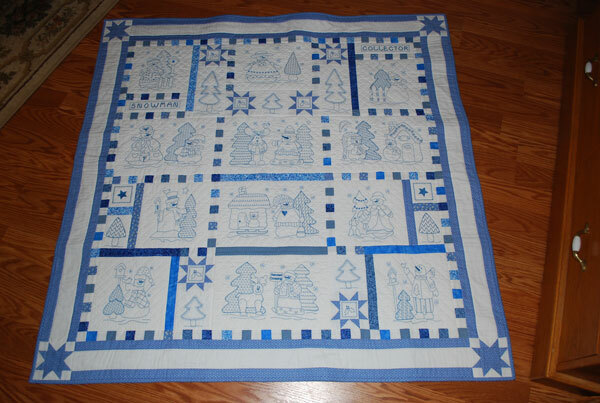 I was able to find all the blues in my stash, with the exception of the long border strips and binding. Quite a busy week coming up. This afternoon I have to trek back to the dentist. Yuck! I've had enough of dentists to do me for quite a while. This appointment will be to start the crown on the tooth that had the root canal. At least the extraction site is healing and I'm relatively pain free in that area. However, the rest of the week will likely prove to be a lot more fun! 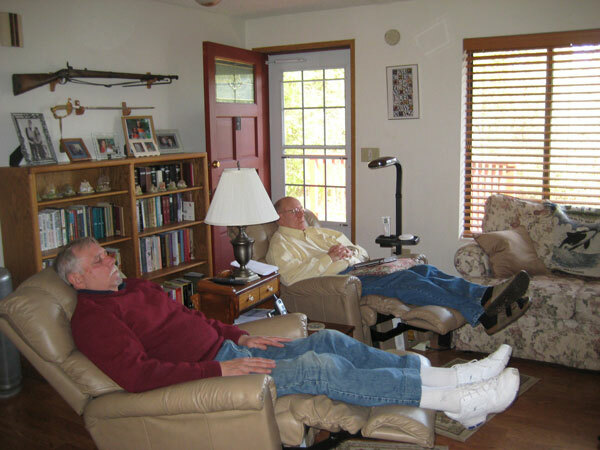 Sunday we are going over to Ben & Abby's to celebrate Isobel's and Bill's birthdays. I'll be sure to get pictures of the girls in their shrugs. 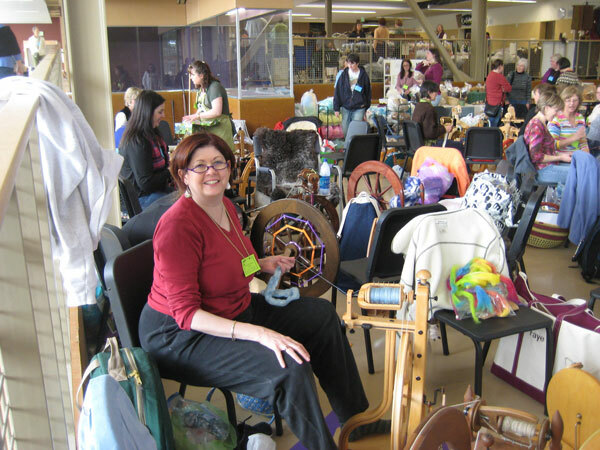 Monday, Tuesday and Wednesday is the spinning workshop with Anne Field. I am so excited about it! I really hope to greatly improve my skills, then start spinning on the yarn for Ben's sweater. I will try to remember to take my camera and get some pictures. Usually in such circumstances I'm so excited that I completely forget! I am taking a chance on the size. 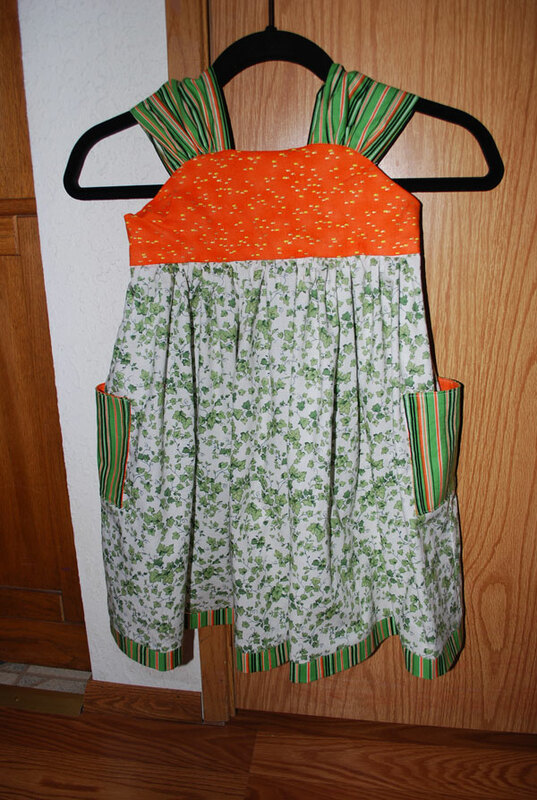 I keep reading that negative ease is flattering in shaped garments, so I am making this with 0 ease. I really hope it fits! 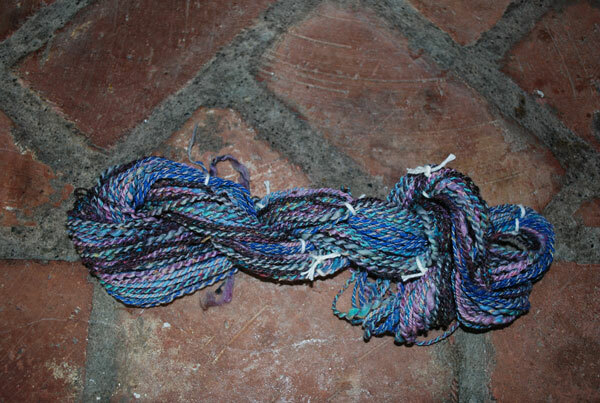 I do find that I love knitting with my handspun, even if it is a little less smooth than commercial yarns. 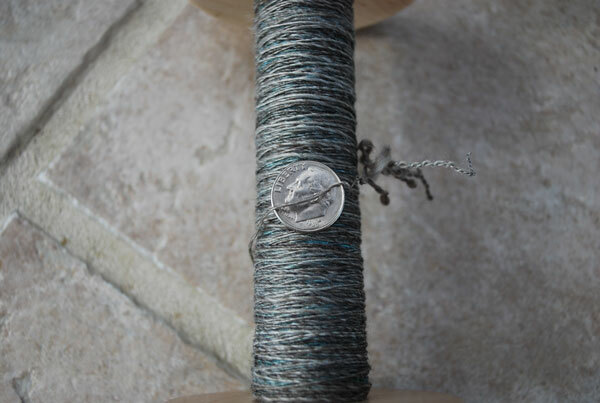 I also started an attempt at spinning a 3-ply sock weight yarn and I think I'm coming close! But because of the color gradations, I can't split the pieces vertically to thin them down, so I'm having to draft across the full width of each piece. It's challenging my skills, but I think I'm being at least semi-successful. We'll see what happens when I ply it together. However, this may have to wait since I am very, very slow at it. I have to finish spinning up the yarn for my vest and then I have to leave my bobbins free for the big 3-day workshop I'm taking next week. 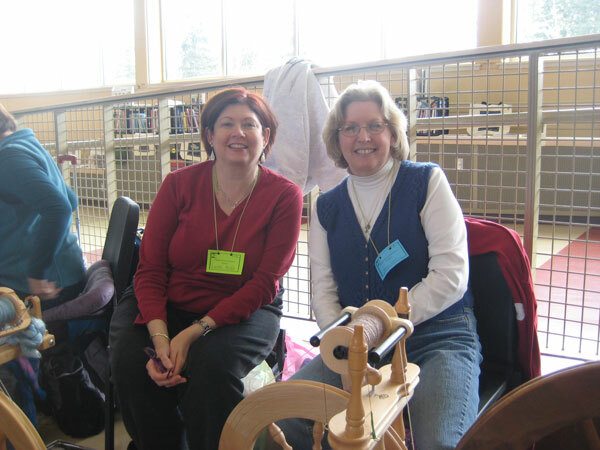 The topic is "Spinning Beyond the Basics" and is taught by Anne Field from New Zealand. I signed up for this workshop in January, when I was still a very, very new spinner. There was a caution that this was not a beginning class, but my spinning group assured me I would be up to speed by the time it rolled around. I think perhaps I am, but I'm still just a wee bit nervous! As you can see, the straight ribs I wasn't sure about have morphed into some beautiful arches. I also found beads for the edging. The picture really doesn't do them justice – they are so pretty and irridescent. I should finish clue 6 in a few nights of knitting and then a two week wait for the next clue. That's what I don't like about these mystery knits. 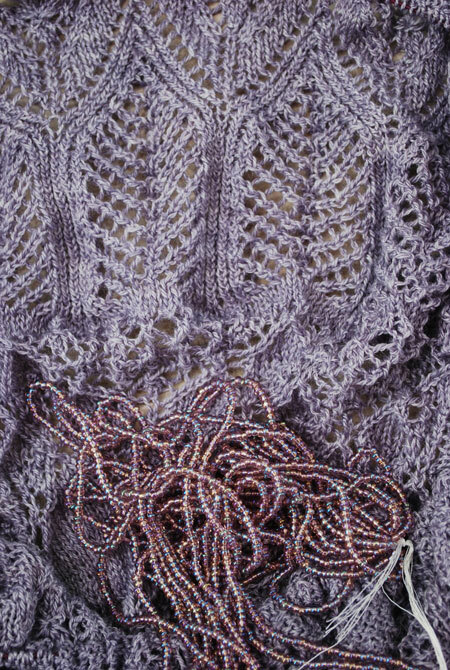 I have a feeling that with 2900 beads to knit in, the edging will take several weeks and then it will be time to start thinking about a new lace project! I'm debating about starting the Wedding Ring Shawl. I've had the pattern and yarn for a while, but just haven't felt the courage to jump in. Maybe the time is ripe. But perhaps I should make myself work on Whistler first. I've gotten a little bogged down in the three color rows. They are an absolute bear, but I think I only have 5 more of them and if I just forced myself to do them, they would be over! But I have other distractions to keep me busy. 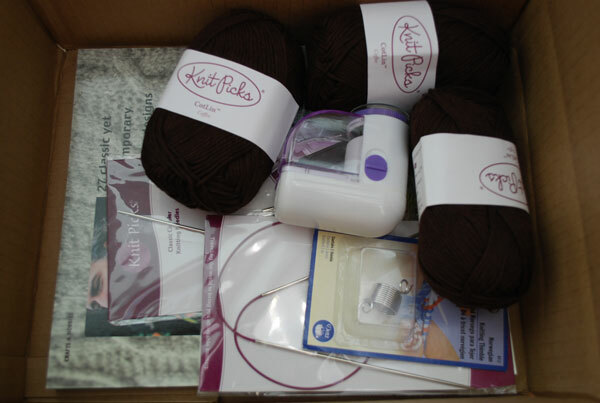 A Knit Picks order arrived in the mail! I ordered 4 skeins of Cotlin to make shrugs for the girls, a book, a knit shaver, some needles and connectors and a funky little Norwegian yarn carrier that was on closeout. I'm not sure it's going to work, but I thought I would give it a try. I was a little disappointed to discover that I goofed and ordered 3 skeins of Cotlin instead of 4! 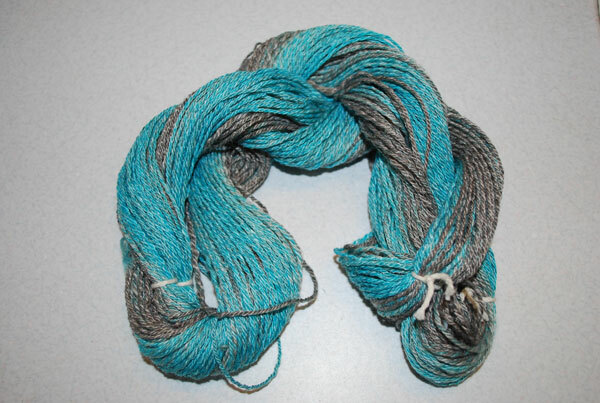 Now I have to order one more and pay shipping for a single skein. Rats! Busy week coming up – two birthday celebrations. 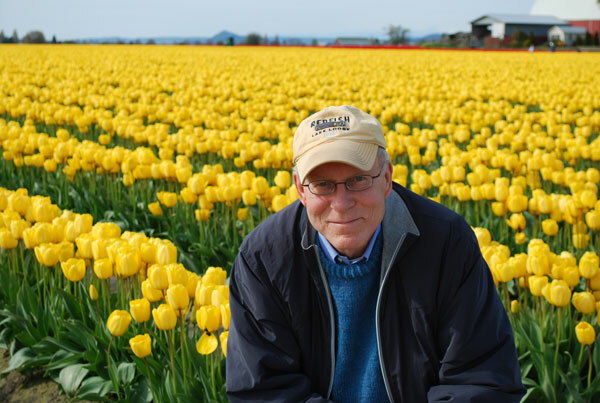 Hubby continues to march through his 60's and Isobel turns 5! Ben & Abby have her signed up for kindergarten and she's is SO excited. Where has the time gone?? I'll post more specifics as I spin each of them up, but suffice it to say, I have enough to keep me busy for months to come, thanks to a generous $$ donation by hubby! It still needs to washed and set, and a second skein spun to match. Then they will become a pair of fingerless mitts. 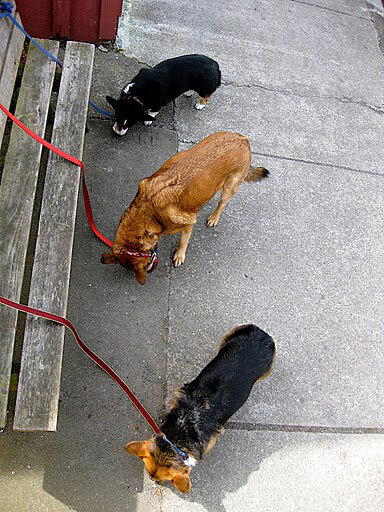 We were very pleased at how well the dogs got along together. 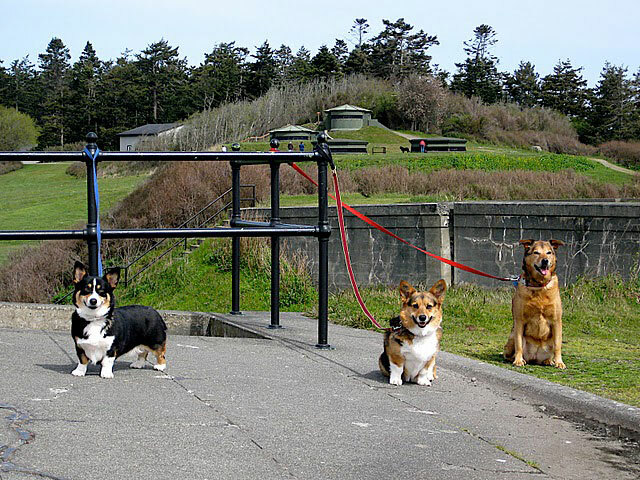 Maggie has issues with other dogs, but she welcomed both Riley and Lewey into her domain with no problems at all. She and Lewey even played a bit, although Riley let it be known that she was much too dignified for such shenanigans. The not so pleasant part of the weekend is that I have been struggling with dental issues for the past three weeks. It started out with extreme sensitivity to cold and constant, throbbing pain. It was determined by my dentist that I needed a root canal, and I dutifully went to the endodontist and had it done. That only solved part of the problem. The sensitivity to cold went away, but the constant pain did not. It was the most excruciating pain I've ever had. Pain meds helped some, but left me almost comatose. Then the pain started getting worse and making me nauseous. Finally, after a week and a half of the endodontist telling me it should be getting better, he saw me again and determined that there was another tooth causing the problem. This was a wisdom tooth and it needed to come out. The oral surgeon couldn't get me in for at least a week, but my original doc came through for me and got me in immediately for an extraction. Even that did not go well. Despite his best efforts, the tooth broke off in the socket. I saw the oral surgeon the next day and he said the tooth was so fused to the bone, that it would have probably happened in his office too. He advised leaving the root tips alone and allowing things to heal. If I don't have further problems, no more treatment is necessary. He also upped my pain medication (to morphine!) and gave me something to help the nausea. FYI – neither helped, but last night I was able to just back off to Ibuprofen. For the first time this morning I am feeling almost human. I'm still going to take it easy for a few more days and try to get my appetite back. I've hardly eaten anything in three weeks (a diet I do NOT recommend), but nothing sounds good because of lingering nausea. So there you have my tale of woe – probably more than you wanted to know. I was beginning to feel as if I would never feel good again and I'm so happy to be on the road to recovery. In fact, I may even feel well enough to spin today! 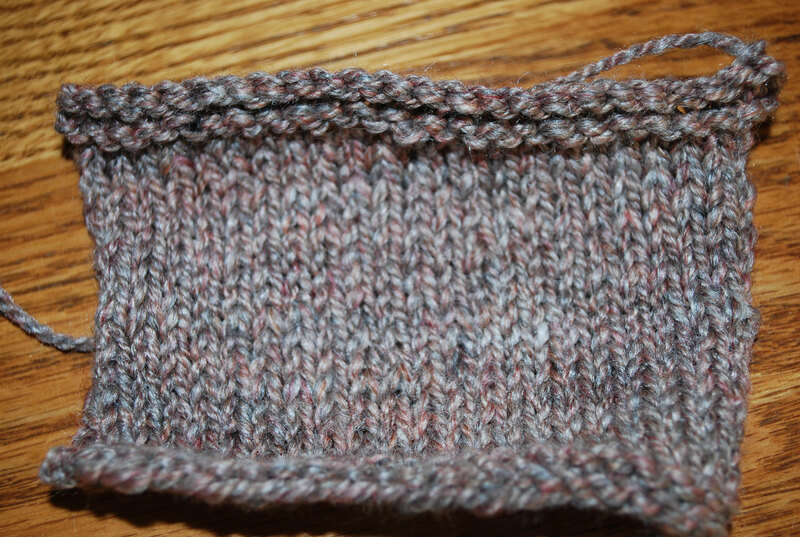 And FYI – I can actually knit lace on morphine without screwing up. Who knew! I have 4 oz. leftover and rather than spin that up to a 3-ply to match what I already have, I think I'm going to forge ahead and 2-ply this and order some more fiber. 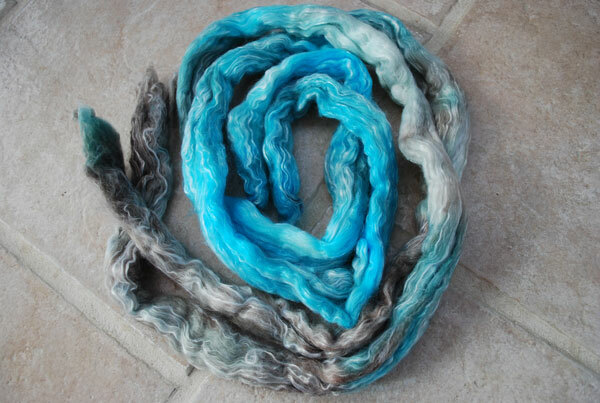 I like this yarn so much that I really want to have a garment from it. 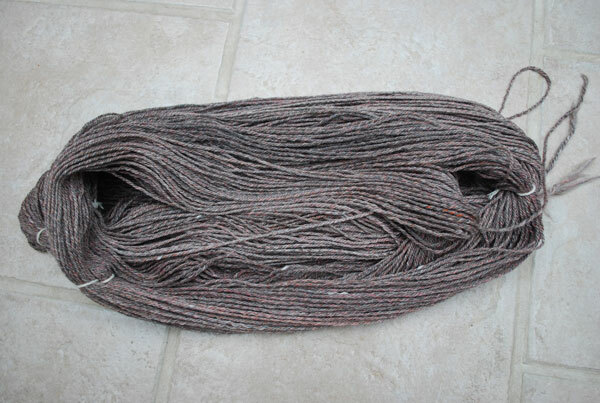 It occurred to me this morning as I was knitting my sample that I have spun Silky Wool! That's always been one of my favorite yarns, but it always seemed a little on the skimpy side. 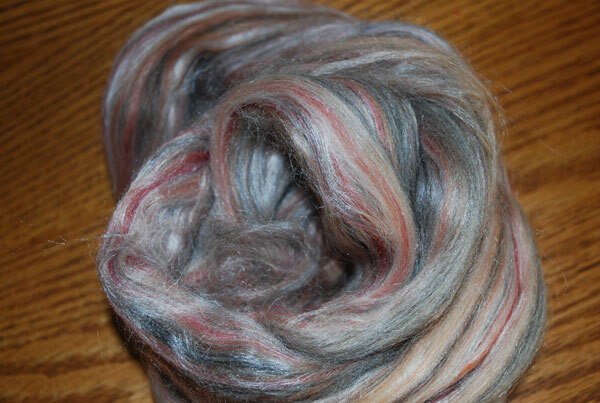 This silky wool has a little more body and has all kinds of possibilities for Elsbeth Lavold designs. As you recall, these are out of the Araucania that felted on me in a warm wash, so these will be run through a cold wash just to confirm that they can be machine washed and then, if all goes well, they will be gifted to my friend Kim for her birthday. 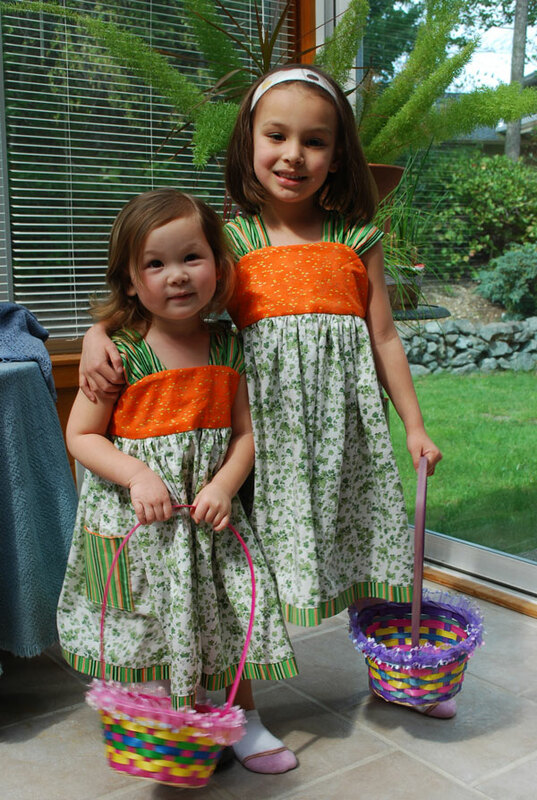 Are they not exceedingly adorable? This week is turning out to be a bit of a challenge. I am still having tooth issues. The endodontist said the continuing pain is normal and it will just take time. In the meantime, I am back on pain meds, which are leaving me dopey (or at least dopier than usual). I'm hoping for some quick recovery so that I will be pain free this weekend. Lorette and her hubby are coming for the weekend and while the hubsters do whatever it is guys do, Lorette and I will be attending a two-day spinning event! 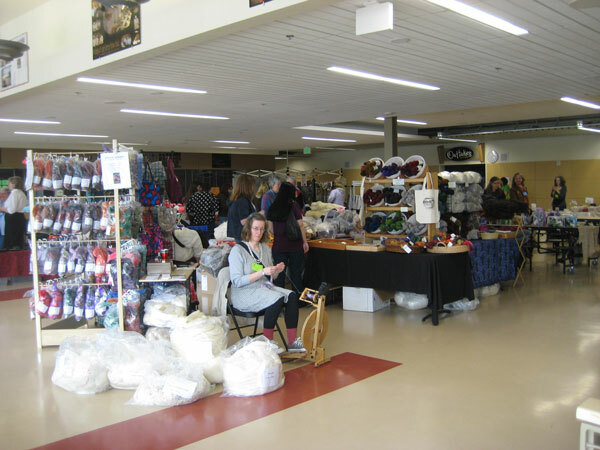 Last spinning event I was so overwhelmed I completely forgot to take pictures, but I promise to do better this weekend.